Gorgeous critter! I LOVE darker boas. That tail looks kind of like that of a red tailed boa, except darker and not as red. Great colors on that one, how big is it now? Nice addition! 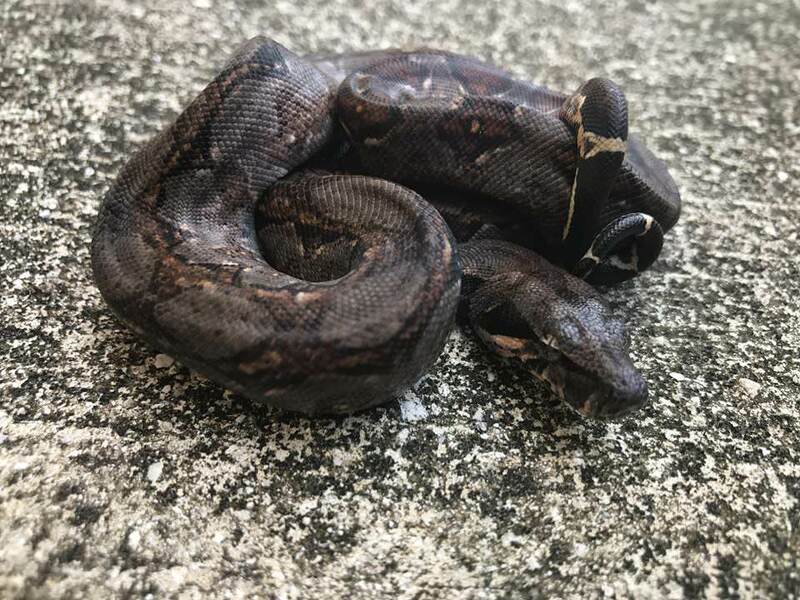 I'm not often a fan of darker boas, mostly just because the patterns don't tend to contrast very well, but this one has a very interesting red/pink look to emphasize its patterns a bit better. Red-tailed boa definitely depends on how the person using it defines it. Most boa keepers (who still use "red tailed boa"), seem to agree RTB only applies to BCC. Some people say it applies to both BCC and BI that at least have orangey tails. Still others say all boa constrictors, regardless of species, subspecies, or locality can be considered RTBs. So, in short, I tend to shy away from RTB since it can be such an ambiguous term. Assuming that by RTB you're referring to BCC, these snakes are very similar. They belong to the same genus, and used to be under the same species. 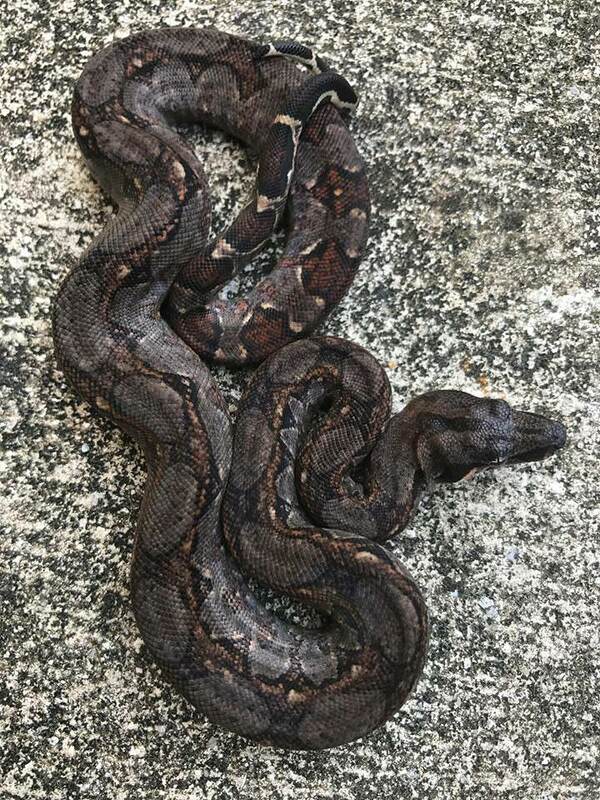 Both Nics and BCC can be referred to as boa constrictors without the same sense of ambiguity as "red-tailed boa" tends to convey. Regardless, that similarity comes about because a lot of boa constrictors share similar appearances or body shapes. Even when their patterns/colors are vastly different, there's no mistaking a boa constrictor. Rather small...I'll try to take some pics this weekend when I clean it's enclosure. BTW, your Dominican is still growing, longer vice thicker, but still growing.